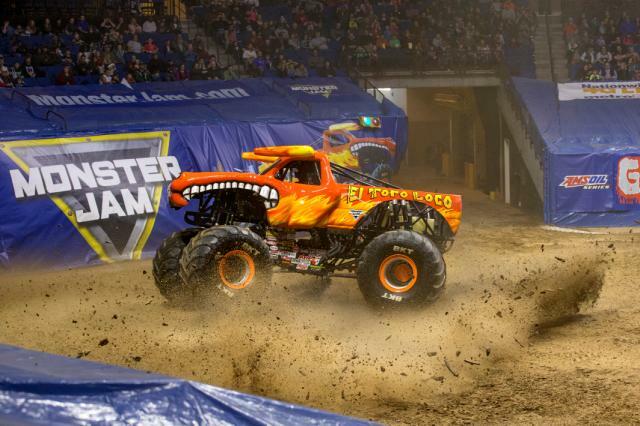 (Salt Lake City, UT) – The infamous 2,000 horsepower engines are revving up again as the massive 10,000 pound machines are ready to ring in the start of 2017 into Utah as the Monster Jam® Triple Threat Series™ presented by AMSOIL, the most adrenaline charged motorsports experience for families on the planet, returns to the Vivint Smart Home Arena for three action-packed events on Friday, January 6th and Saturday, January 7th. 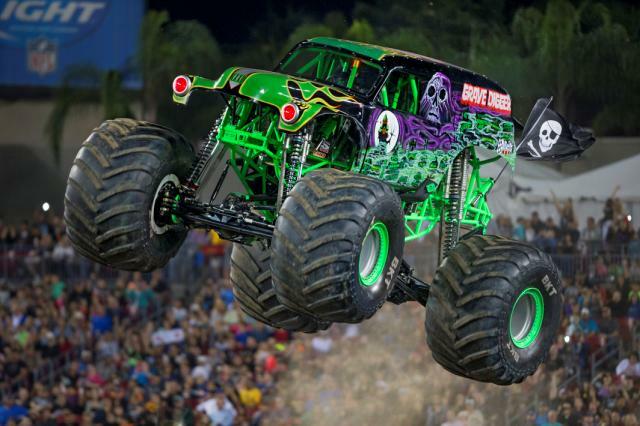 Read more about Monster Jam show times and how to purchase tickets HERE. The Monster Jam Triple Threat Series presented by AMSOIL can only be seen in select cities across the country and features the most extreme athletes of Monster Jam competing against one another in a points-based format that showcases the best lineup of Monster Jam vehicles to deliver what fans want to see most - more trucks, more racing, more freestyle, more donuts, more wheelies, more action! Unlike any other Monster Jam event, the Monster Jam Triple Threat Series is the definitive test of endurance, versatility and driving skills that showcases these premiere athletes as they go head-to-head in seven unique endurance competitions driving three different vehicles: Monster Jam trucks, Monster Jam Speedsters and Monster Jam ATVs; ultimately battling for points in both racing and freestyle events that push themselves and their machines to the limit. Plus, fans are always encouraged to come to the arena early on Saturday for the Monster Jam® Pit Party pre-show experience which provides unprecedented access to the Monster Jam trucks and drivers – you can see the trucks up close, meet the athletes, get their autographs and take photos! *Pit Pass required for entry; purchase price $10 for all ages. Tickets are now available to purchase online at www.smithstix.com, charge by phone at 800-888-TIXX or visit the arena box office. Gobble Gobble – Give Thanks! WHAT: Disney On Ice is partnering with the Utah Food Bank to benefit those in need this holiday season with a Thanksgiving Turkey Drive. 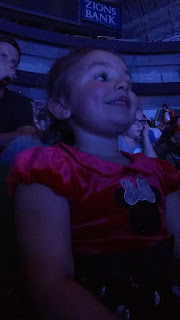 Disney On Ice has invited the residents of Salt Lake County to support the Utah Food Bank by bringing a frozen turkey to Vivint Smart Home Arena this “Turkey Thursday” November 10th between 11:00 AM – 2:00 PM. 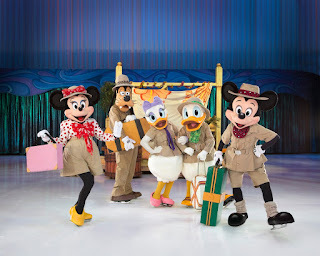 In exchange for the generous food donation, each person that provides one frozen turkey will receive a voucher for two free show tickets ($46 value) to an upcoming performance of Disney On Ice presents Passport to Adventure (vouchers avaialble while supplies last, limited to the first 100 turkey donations). 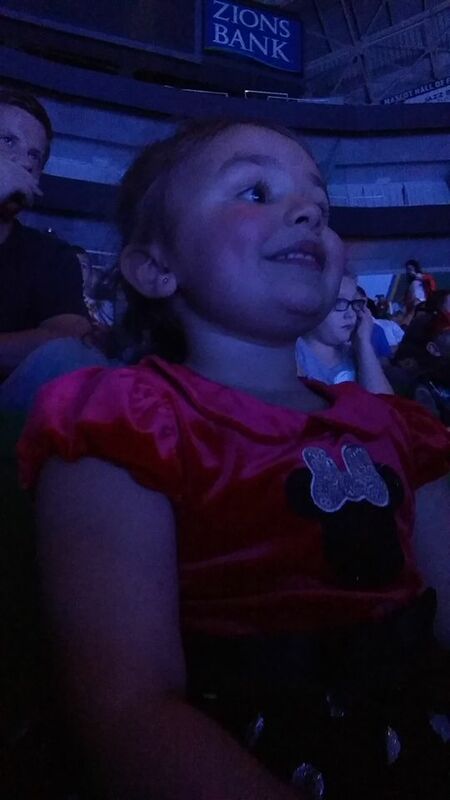 Disney On Ice skaters will be on-hand to accept the donations along with Utah Food Bank representatives. 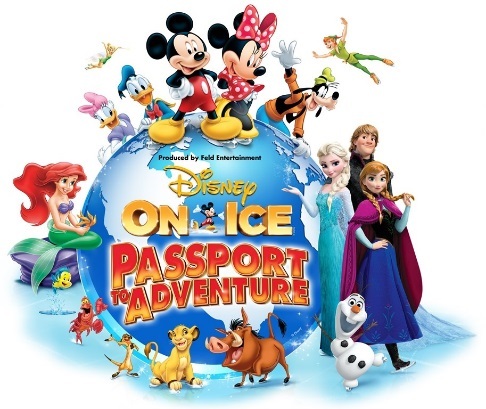 This heart-warming community event marks the SLC arrival of Disney On Ice presents Passport to Adventure, playing this week from November 10 - 13. Join Mickey and Minnie on a sightseeing adventure to explore the African Pride Lands with The Lion King, dive under the sea with The Little Mermaid, fly to London and Never Never Land with Peter Pan, and the beloved Arendelle with the popular characters from the #1 animated feature of all time, Frozen. Feld Entertainment is the worldwide leader in producing and presenting live touring family entertainment experiences that lift the human spirit and create indelible memories, with 30 million people in attendance at its shows each year. Feld Entertainment's productions have appeared in more than 75 countries and on six continents to date and include Ringling Bros. and Barnum & Bailey®, Monster Jam®, Monster Energy Supercross, Nuclear Cowboyz®, AMSOIL Arenacross, Disney On Ice, Disney Live! and Marvel Universe LIVE! More information about Feld Entertainment is available online at www.feldentertainment.com. 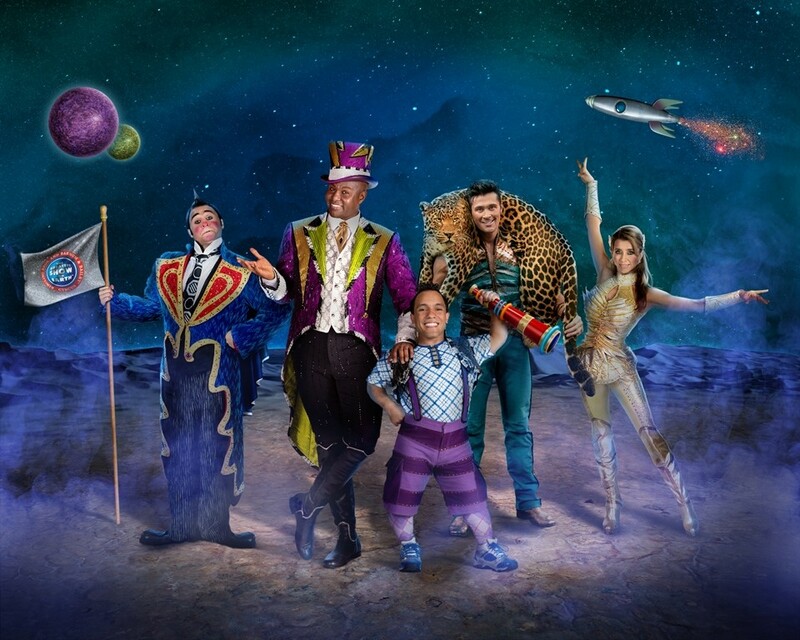 Ringling Bros. and Barnum & Bailey®, the circus that started it all, invites fans to blast off on an intergalactic adventure with the launch of Ringling Bros. and Barnum & Bailey Presents Out Of This World™. Feld Entertainment, Inc., the world’s leading producer of live family entertainment, today announced that this new, immersive experience will debut on the West Coast for the first time in the 145 year history of Ringling Bros.; premiering in Salt Lake City at the Vivint Smart Home Arena from Friday, September 23 – Monday, September 26. Tickets for all Utah performances are on sale to the general public starting today. For the first time, the show features thrill skaters, in addition to unbelievable performances by gravity-defying acrobats, majestic animals and hilarious clowns. Imaginations will run wild throughout the non-stop display of artistic athleticism, with acts seamlessly transitioning from floor to air to ice, a feat never before done in Ringling Bros. history. All seats are reserved; tickets are available for purchase online at Smithstix.com, select Smith’s Grocery locations, charge by phone at 800-888-TIXX or in-person at the venue Box Office. For a complete list of tour dates and locations through December 2016 and to purchase tickets, please visit the Ringling Bros. website (www.Ringling.com). Future tour dates will be announced at a later date. Stay current on the latest developments by following us on Facebook, Twitter, Instagram and YouTube — @RinglingBros. Feld Entertainment is the worldwide leader in producing and presenting live touring family entertainment experiences that lift the human spirit and create indelible memories, with 30 million people in attendance at its shows each year. Feld Entertainment's productions have appeared in more than 75 countries and on six continents to date and include Ringling Bros. and Barnum & Bailey®, Monster Jam®, Monster Energy Supercross, Nuclear Cowboyz®, AMSOIL Arenacross, Disney On Ice Presented by Stonyfield YoKids Organic Yogurt, Disney Live!Presented by Stonyfield YoKids Organic Yogurt and Marvel Universe LIVE! More information about Feld Entertainment is available online at www.feldentertainment.com. Utah’s Soldier Hollow Classic is a fun and unique event for families to visit on Labor Day Weekend. 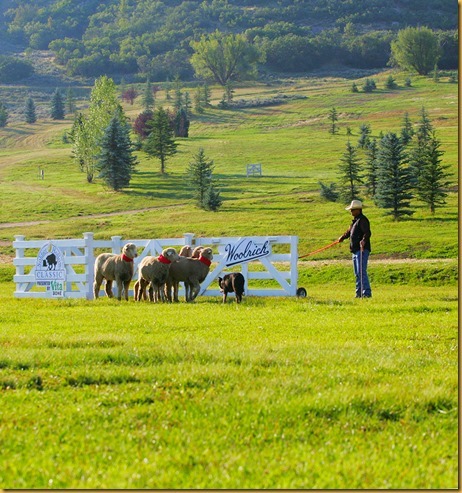 Not only do they display the talents of the best-trained animals in the world, but also a variety of family-friendly and interactive events that will entertain guests of all ages. Some of these will include the Wild Wonders Animal Show, police K-9 demonstrations, local food vendors, and the crowd-favorite Splash Dogs. 25,000 spectators make the Soldier Hollow Classic a holiday-weekend hit in our state. We attended for the first time a few years ago, and had a blast. The dogs were so much fun to watch as they rounded up the sheep and livestock from the hillside, and my kids laughed and giggled while watching the Splash Dogs. We also loved visiting each of the different food and craft vendors, and can’t wait to get back there for one of the Navajo tacos! 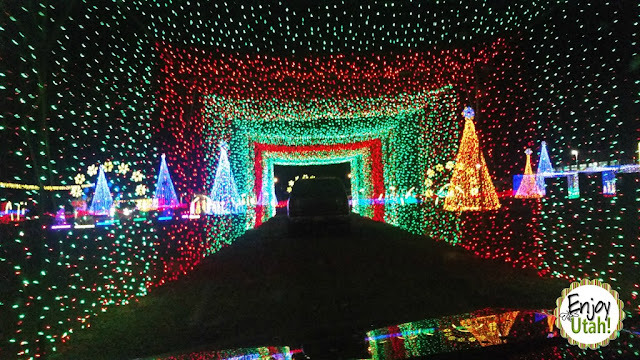 Read all about our first experience visiting the Soldier Hollow Classic a few years ago. You can purchase your tickets in advance online, or when you arrive. Four lucky winners will be chosen to receive a family 4-pack of tickets each to the 2016 Soldier Hollow Classic, happening this Labor Day weekend, Friday September 2nd through Monday September 5th. Tickets are good for any day during the 2016 competition. Deadline to enter is Monday August 22nd, 2016 at 11:59pm. Winner will be contacted via email and must respond within 24 hours, or a new winner will be chosen. We are not responsible for any reason the winner does not receive the email after it has been sent out. This includes, but is not limited to, lack of internet access, junk or bulk email filtering, wrong or inactive email address associated with a Facebook account, etc. Winner's four tickets will be left at Will Call for winner to pick up in person. Winner must provide a valid picture ID to receive tickets. Fall River Fly Rods Co. and Allen Fly Fishing are pleased to announce that they are hosting the 6th Annual Heber Valley Fly Fishing Festival. We hope you will join us for a fantastic day of fly fishing festivities that are entirely free to the public courtesy of Fall River and Allen Fly Fishing. Anglers of all skill levels are welcomed and encouraged to attend the event so that they may both learn new techniques and fine-tune their skills via the free classes, clinics and demonstrations being offered throughout the weekend by local fly fishing guides & industry experts. Clinics will be held both on and off the water and will be covering both a wide-array of topics and skill levels this year; topics to include basic casting techniques, hands-on casting instruction for intermediate-level situations, “how-to’s” on nymphing technique specific to the Provo River & on the logistics involved with introducing your children to fly fishing, fly tying & leader building demonstrations and much more! 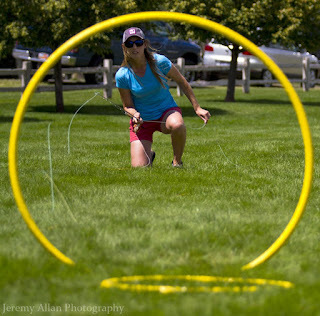 The festival is pleased to announce the addition of full-day “ladies-only” fly fishing instruction via a course that has been designed in a way that affords attendees the ability to either participate in the entire day of instruction, or individual segments of it depending upon their needs. Our “ladies-only” instruction is being provided by Rebeca Granillo, founder of the Wasatch Women’s Fly Fishers club and a number of other volunteers from their organization. Also new to our course selection this year are two advanced-level on-the-water demonstrations being given by world champion fly fisher Lance Egan, of the Lehi Cabela’s store; Lance will be covering “Advanced Dry Fly Tips & Techniques” and instruction on “European Nymphing” via separate on-the-water demonstrations once each day and anglers are encouraged to pre-register for these clinics as space will be limited and is expected to fill quickly. 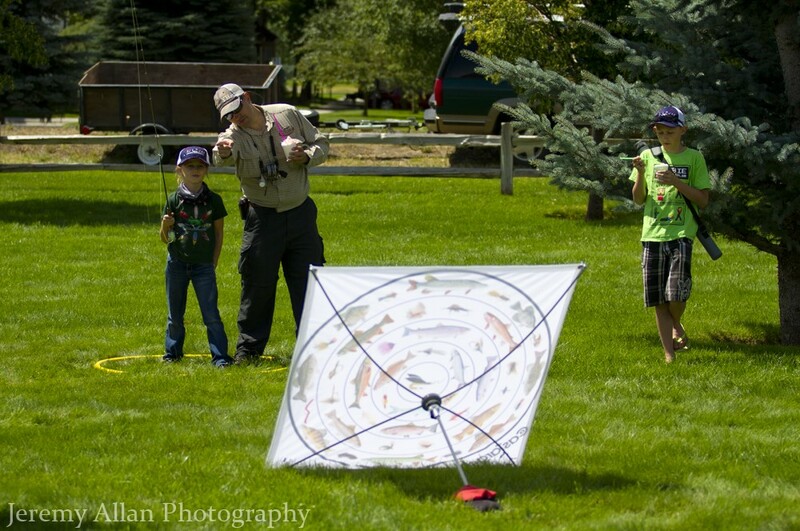 Details for Lance’s courses, as well as the rest of free courses being offered by the Heber Valley Fly Fishing Festival may be found on our website here and print copies of the schedule will be available on site at the event. stop in to meet Travis Sylvester of Travz Art and Bern Sundell of Riverstone Gallery who both are both designers for Montana Fly Company, as well as Salt Lake City’s own Matt Jackson of MJ Glassworks who creates some amazing pieces from recycled broken glass! 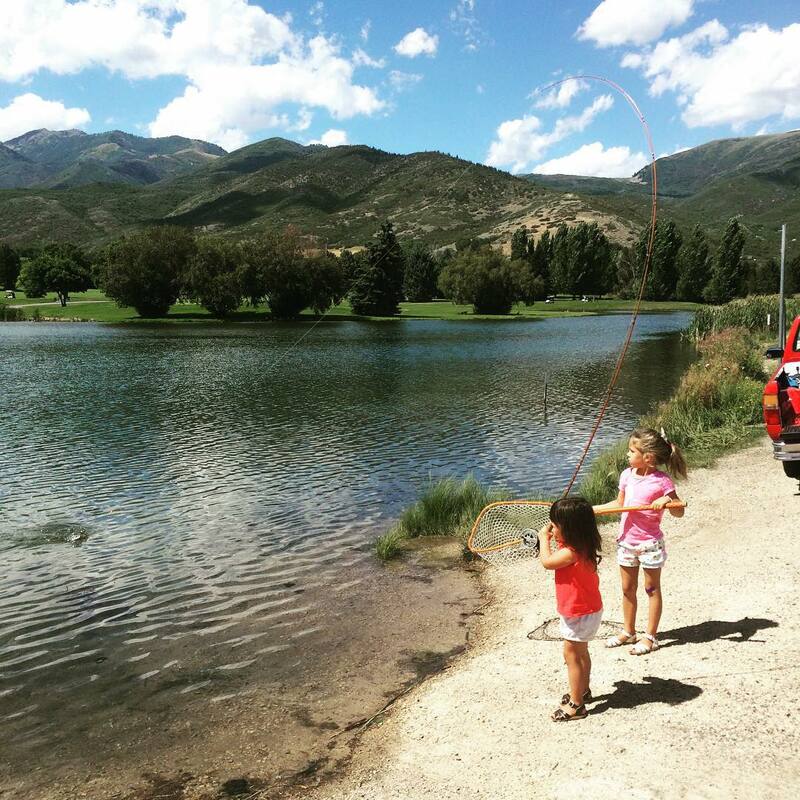 The Provo River Kids Fly Fishing Derby will be back again this year and is open to kids ages 15 and under. The derby is a catch and release only event that may be fished anywhere on the Middle Provo River & participants must have a parent or legal guardian present at all times; prizes will be awarded the same day for top finishers in each age group and will include several brand-new Allen Fly Fishing “Prelude” rod & reel combo rigs. 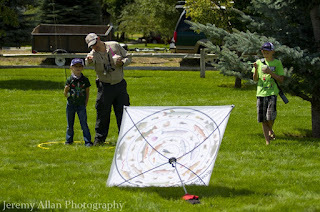 Registration for the Provo River Kids Fly Fishing Derby will be held at the Utah Trout Unlimited booth at the festival beginning at 10am or you may pre-register your child on our website once our electronic system is completed. The first 50 kids to register for the derby will receive a special edition Twin Territory/ Heber Valley Fly Fishing T-shirt FREE & everyone who comes out to participate will have a chance to win a one-of-a-kind Twin Territory custom fly rod, built by our event host Fall River Fly Rods Company here in Midway, Utah. Of course there will also be some friendly competition for the big kids too with Fly Casting Golf and a casting competition for both distance and accuracy; top finishers in the amateur and pro divisions will be awarded a new Allen Fly Fishing Icon II fly rod & reel rig (retail value $650) the same day. Various groups will be raffling off some of the guided fly fishing trips and some of the hottest products available as well! 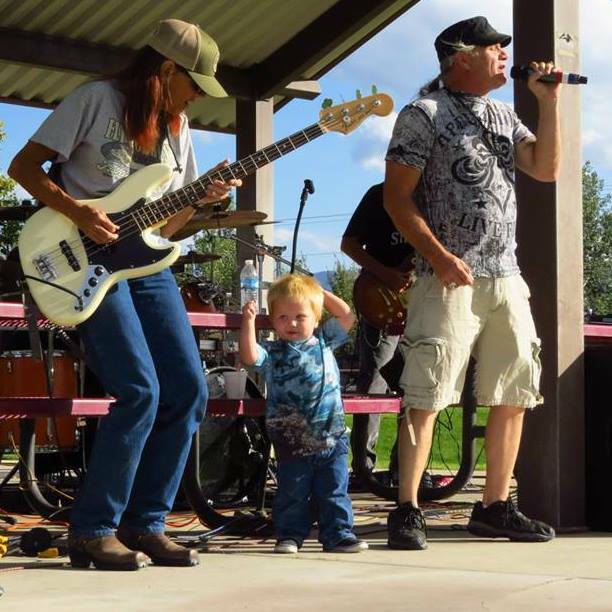 Join us for the free live music with “Blue Deville” and a community BBQ to round out the weekend from 5pm to 8pm on Saturday. 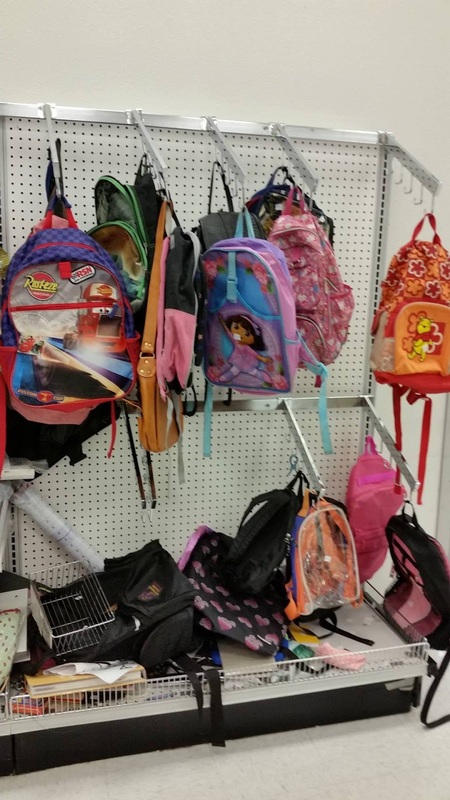 It's almost time for the kids to head back to school, and back to school shopping is in full swing! Last night we made a trip to Deseret Industries thrift store and found lots of back to school bargains. Because kids outgrow their clothes so fast, parents are forced to buy new school uniforms each year. 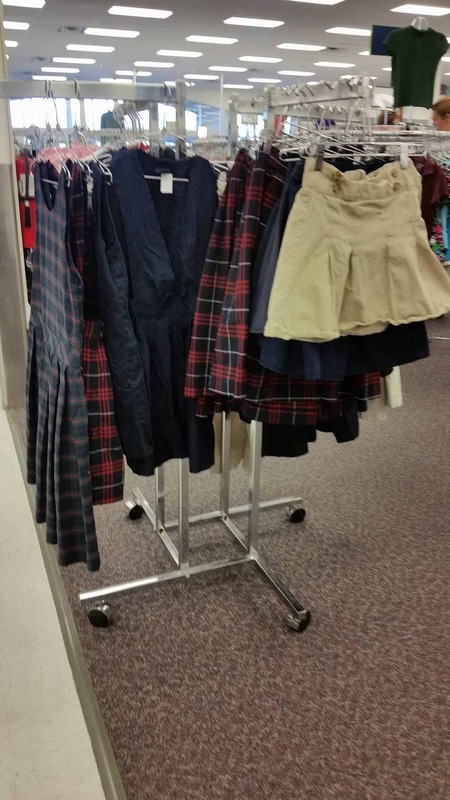 Many of the outgrown uniforms end up at thrift stores like Deseret Industries. 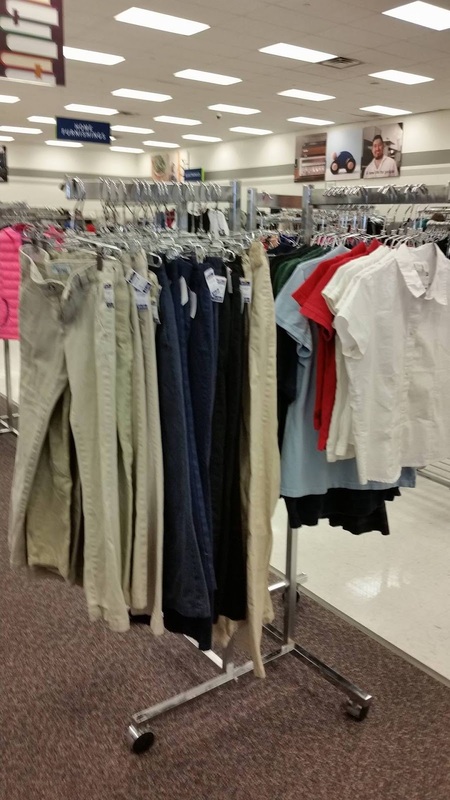 If you child attends a school where school uniforms are required, check the Deseret Industries closest to your child's school for uniforms that have been donated. 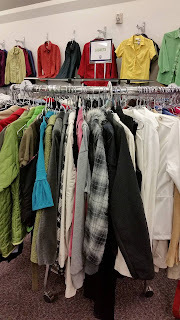 The colder weather will be here before you know it, and many of the coats we found at Deseret Industries were like new. 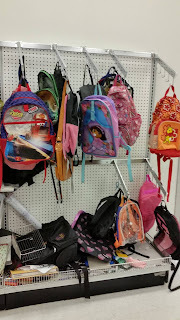 Many kids like starting the new school year off with a new backpack, and most of the backpacks from the previous years end up at Deseret Industries. 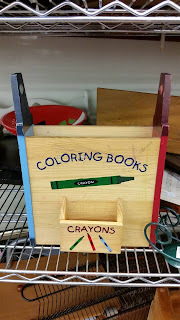 Back to school shopping doesn't only include getting ready to sent your kid to school, but also preparing a quiet workstation at home for them to work on homework after school. 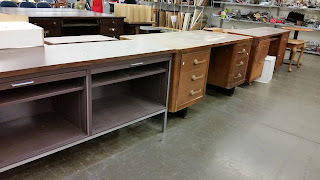 Deseret Industries had a large selection of desks and other homework station essentials. 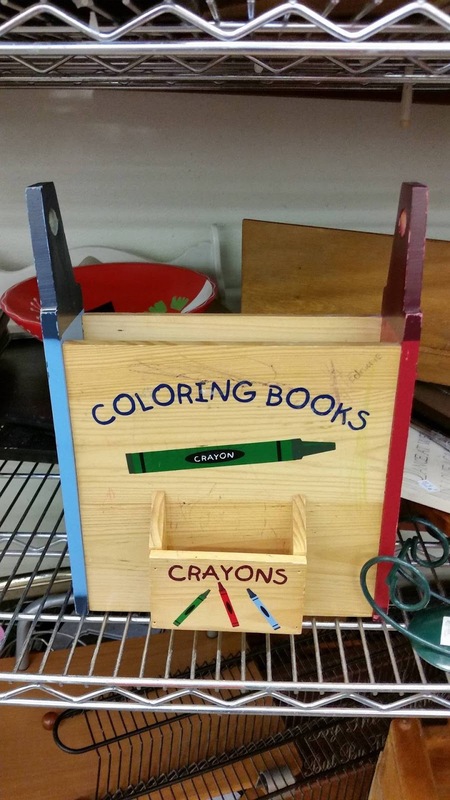 Having a home library is also a great way to keep your child interested in learning. 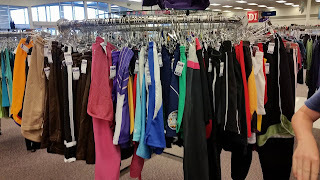 Deseret Industries is more than a second hand store; they have a variety of new items such as underclothes and socks. 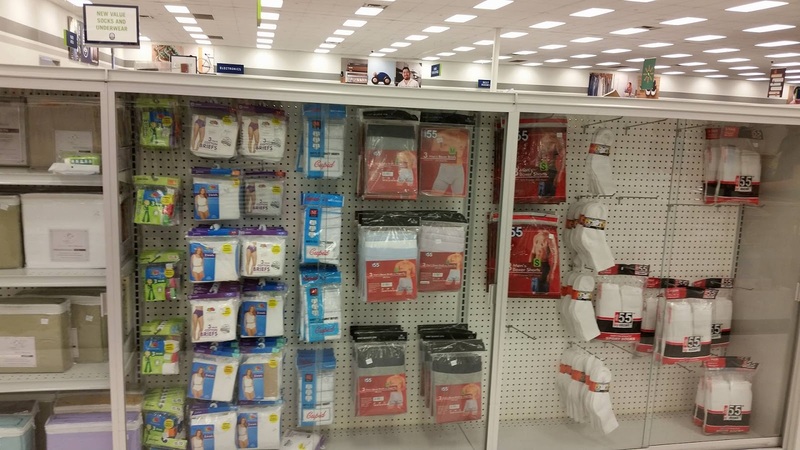 When you shop at Deseret Industries you support a job training and placement program. 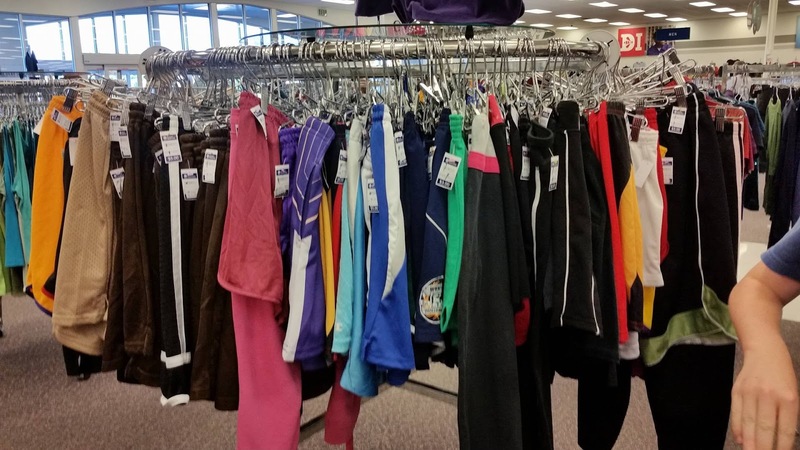 So when you make a purchase at one of the stores, you are not just taking home a hidden treasure but you're allowing others the opportunity to find treasure in their own lives. 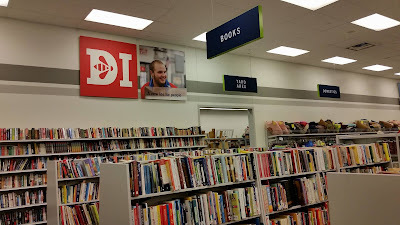 When Deseret Industries (DI) opened in 1938, Elder John A. Widtsoe established four guiding purposes for it: “First, those who have will be given another type of opportunity to help those who have not. Second, waste will be reduced by keeping our possessions in use as long as possible. Third, the work of renovation will employ many now unemployed. Fourth, articles in common use, of good quality, will be available at a low cost” ("Editorial: Deseret Industries," Improvement Era, Sept. 1938, 544). 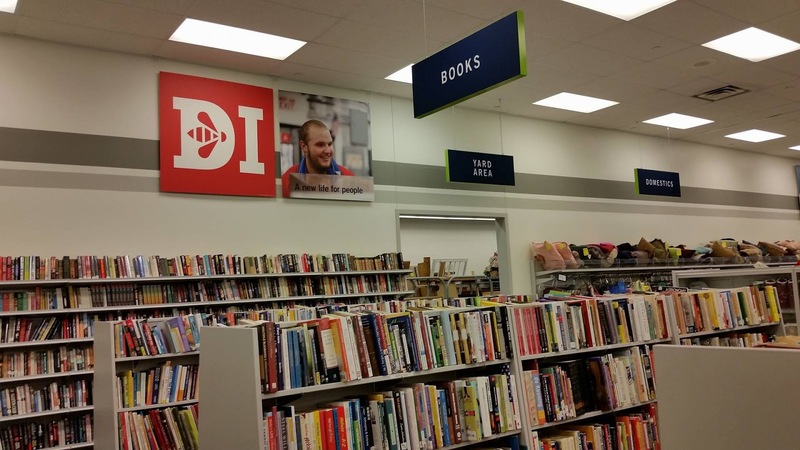 Associates gain valuable work experience by working in Deseret Industries facilities and through a variety of training opportunities with local business partners. 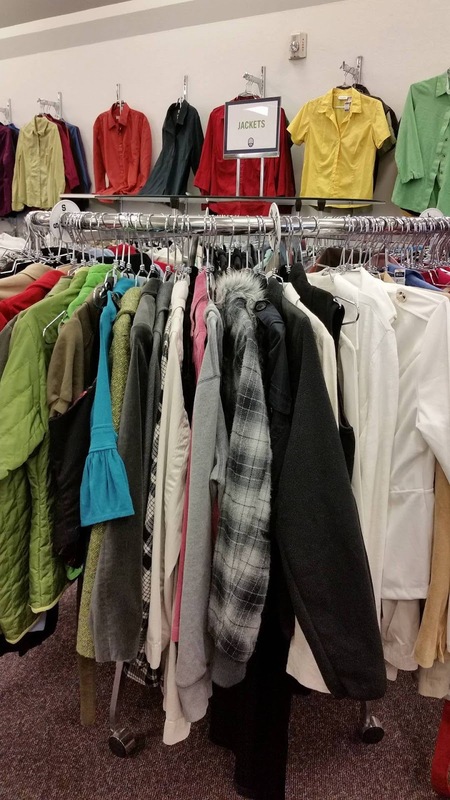 Individuals can gain retail experience in the stores, trade skills at DI Manufacturing, and other work skills while assisting people worldwide at the Latter-day Saint Humanitarian Center. 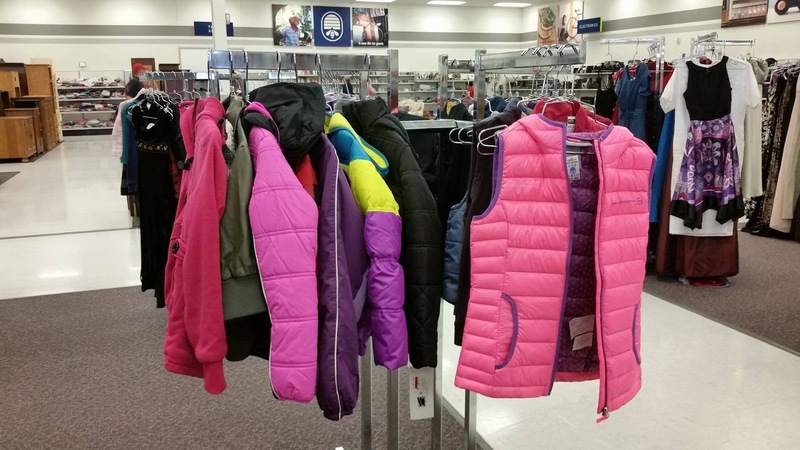 Items not sold in the stores are sent to help in humanitarian relief efforts. Read more about people who got their start in the workforce by training at Deseret Industries. This is a sponsored post and I was compensated for my time. GIVEAWAY and REVIEW: Rodizio Brings Back Americano Summer BBQ Fest! Due to its popularity last summer, Rodizio Grill has brought back their Americano Summer BBQ Fest, taking place at participating locations June 1 through Labor Day. 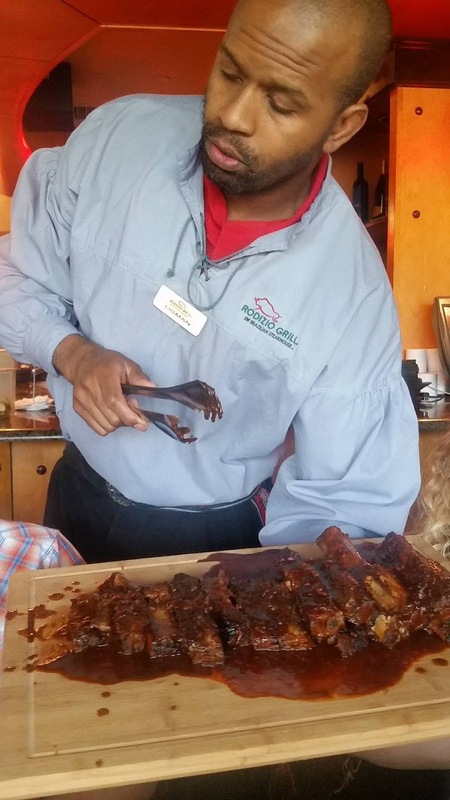 The BBQ ribs are a definite must! “Due to last year’s popular demand, we have extended BBQ Fest by one month this summer,” stated Ivan Utrera, Founder of Rodizio Grill. “Rodizio Americano BBQ Fest was created as an embodiment of my fond childhood memories enjoying summer barbeques with my family and friends. It’s American BBQ with a Brazilian touch." In addition to its already popular meat and salad bar menu, the Americano Summer BBQ Fest items are available during dinner hours only, at no additional cost. My favorite Americano BBQ item was the barbeque ribs. I loved them last year, but this year they were even better. I also loved that the mac 'n cheese had chives and bacon cooked into it. Their salad bar is always a big hit, and the new items added in, such as the corn bread, makes it even better. 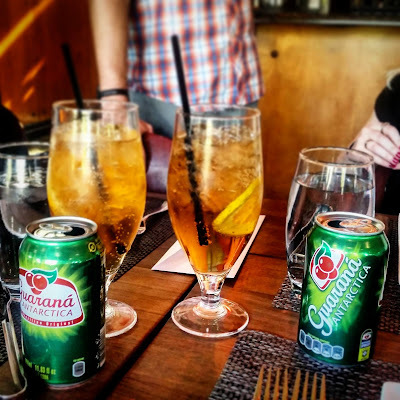 The traditional Brazilian foods that we have to have while eating at Rodizio Grill are the cheeseballs, Guarana (Brazilian soda), and of course the dessert! 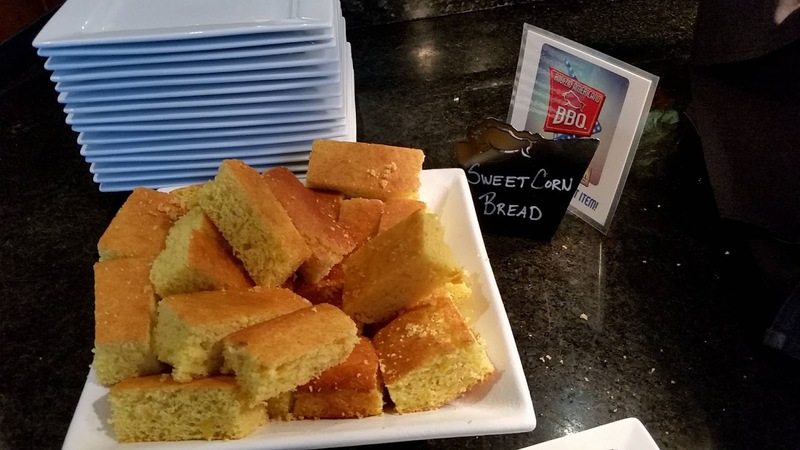 such as the corn bread, makes it even better. I was provided with a complimentary meal to try the new menu and write my review. I was not compensated financially, nor was I persuaded or required to write any specific type of review. The views and opinions in this review are all my own. 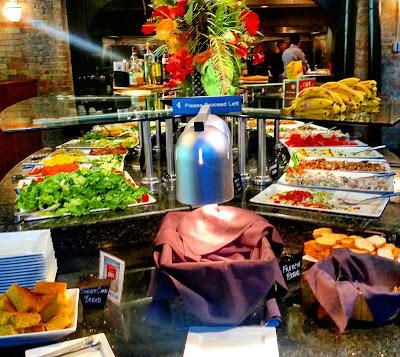 Two lucky winners will receive a certificate for a complimentary full Rodizio (includes all you can eat rotisserie grilled meats, glazed pineapple, a gourmet salad bar, and authentic Brazilian sides). Two winners will be chosen to each receive one certificate for a complimentary full Rodizio. 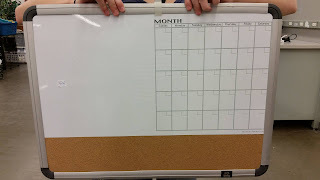 Winner must reply within 24 hours and provide mailing address, or a new winner will be chosen. We are not held reliable if for any reason winner does not receive notification email. This includes, but is not limited to, lack of internet service, wrong email address connected with Facebook account, junk email filtering, or any other reason winner does not receive message after it has been sent out. Enjoy Utah and Rodizio is not held responsible for lost certificates after they have been dropped in the mail. 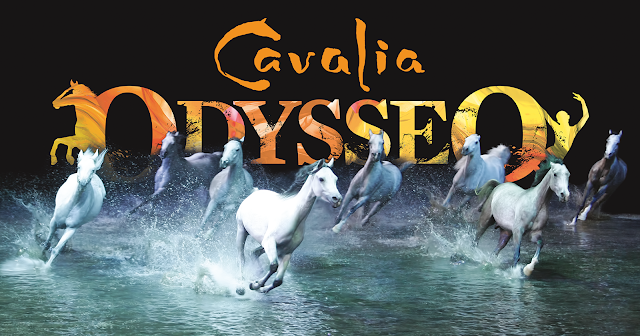 If you haven’t seen any advertising for Cavalia then you probably haven’t left your house in the last month. The billboards are everywhere, even fliers in a lot of businesses. There are even memes about it. Michelle was unavailable for Cavalia’s media night, and I jumped at the chance, because of the ticket price, thinking we might not be able to afford it otherwise. 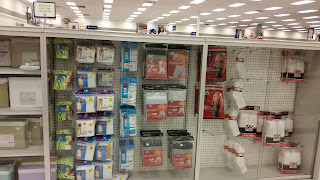 I picked up my horse loving mom, “Momo”, and headed to the giant white tent in the South Towne Mall parking lot, Sandy. When I was telling friends that I was going, invariably, the very first question was, “Tell me if it is worth the cost”. So, let me answer that and get it out of the way. Yes. Yes, yes, yes, yes, yes. 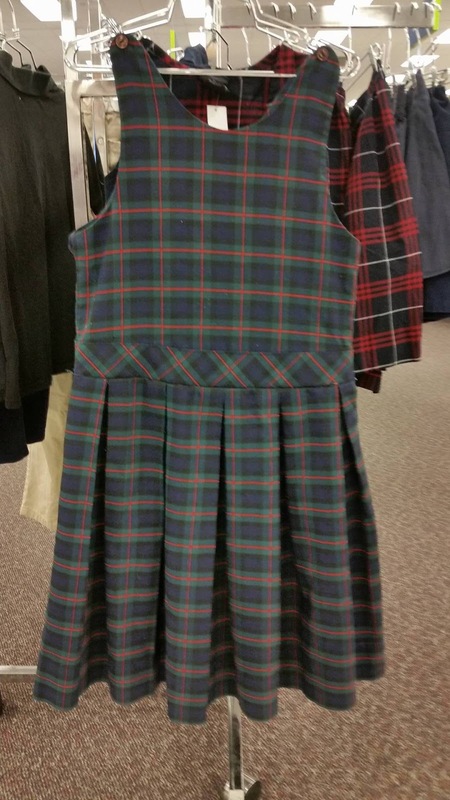 Did I say, “Yes”? What I meant was it is worth EVERY penny. I highly recommend it. So much so that I am trying to find time to take Michelle. Momo keeps posting and messaging me about the wonderful time she had and how she would like to go back (hint, hint). but we went back for seconds! We were treated to the V.I.P. experience, which included access to the V.I.P. tent, dinner, fourth row tickets, dessert, and access to the cast and stable after the show. Shortly after we arrived, we were escorted into the tent with a mini boutique, lounge area with couches, tables, horse paintings, and an area for drinks, and popcorn. In the middle of the room were two long serving tables where a buffet-style dinner awaited. The food was a European inspired mix of rolls, quiche, various salads, select proteins, and even raw ahi tuna with caviar. The drink bar was fully stocked with full-time bartenders who served both non-alcoholic beverages and libations. Some people didn’t enjoy the meal, as many of the flavors were not typical for the Salt Lake area. My mom is an amazing cook, and not only did she enjoy it, she went back for seconds. There was a man pacing around the room, making sure that all the servers were working quickly and efficiently. It turned out that he was the head chef from Montreal. They not only fed the V.I.P. 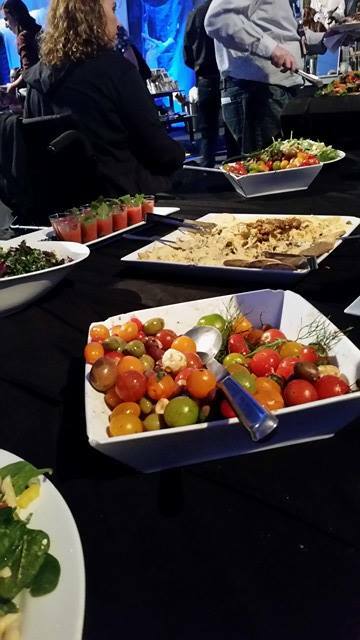 guests but also provide two meals each day for all staff and performers. The performance was breathtaking. There were different scenes, similar to a Cirque du Soleil and other performances that you would find on Broadway or in Vegas. The difference is the incorporation of the trained horses who take center stage. There are words to describe Cavalia, though I don’t believe my words would do it justice. The closest I could come would be that it is as a vivid dream, something that has to be viewed first hand. When the horses come over the three story hill, I was pulled into the imagery of Cavalia like no other performance before. The carrousel blew me away. 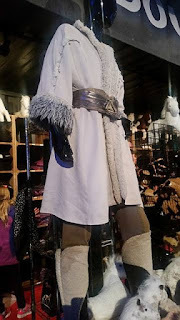 The costumes were also amazing! As a wedding DJ, the thing I noticed the most was the production value. 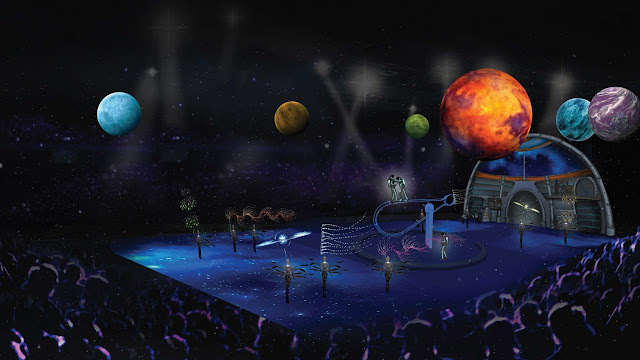 Because of the enclosed setting, the high quality speakers, and as enthralling as the colorful background is, you could watch the whole performance and not realize the music was live unless you looked around. They had musicians who adjusted the music to match the horse movements, both in tempo and in length. Truly a world-class show, well worthy of the praise and cost. We waited around in the VIP area at the end of the show to talk to the media coordinator and the performers. They come from all over the world to live with Cavalia as it tours the country. It takes about two weeks to completely break down and move from one city to the next. My mom’s favorite part of the evening was going to the stables and seeing the horses up close. Each one has his own personality. They use different breeds of horses including Mustangs, Arabians, and ones from Spain called Andalusian. While we couldn’t touch any of them, they are majestic to behold up close. You may never get another chance to see Cavalia. As of right now, shows will end the first week of June. It is not often that we have preforming arts of the highest quality that mixes nature and man, acrobatics, music, and visual imagery in our own backyard. It is truly “the most amazing show”. 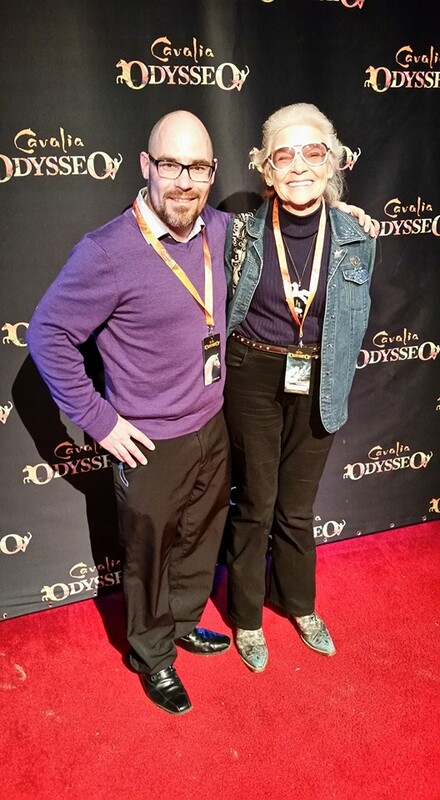 Thank you, Odysseo, for the opportunity to experience it first-hand. View videos on our Facebook page and Instagram account. DISCOUNT: 10% discount for Enjoy Utah followers* Use promotional code SOCIALUT when purchasing tickets online at www.cavalia.net/live/ut. * This promo code is valid on all evening shows for Gold and above ticket categories.